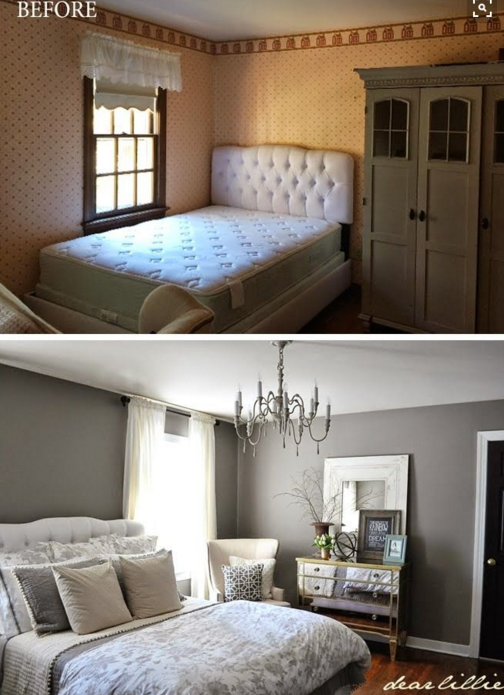 A bed in the corner may seem like the only solution, here we’ll show you alternative solutions! Or, for those times when the corner IS truly the only option, we’ll show you ways to make it look more attractive. Perhaps you have another room you could use it? Notice below, by removing the headboard the room doesn’t look unbalanced. With a headboard, it would make it obvious that the bed is not in the center of the wall. 2) Scale back on large furnishings! Maybe that means giving away part of the bedroom set to a family member? Or to someone in need. Maybe it means moving the large piece to a bigger room. 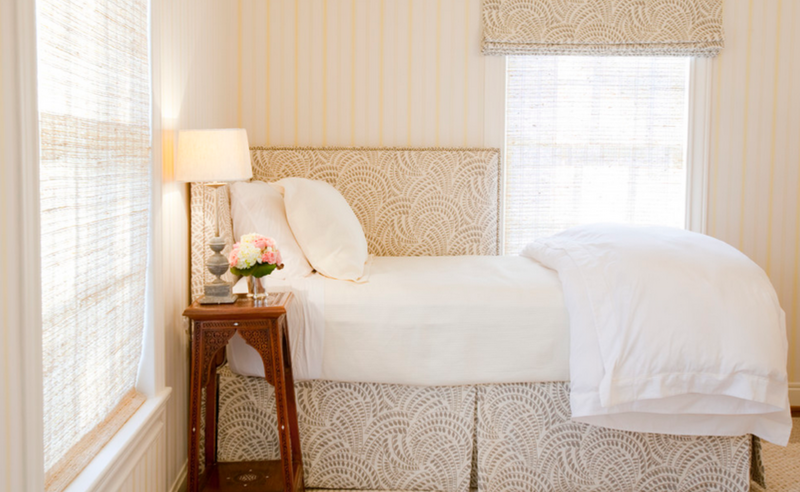 Try to visualize the space as a welcoming guest room, one that feels spacious! This will help you feel open to change. 3) Put the bed in front of a window. Notice all the possibilities this open for how to layout your small bedroom! 4) Create a corner headboard. See below, This makes the bed feel cozy in the corner! The best way to decide what bedroom layout you like best is to try out different options! Home Depot sells plastic pads to place under the furniture which make the furniture slide easily… they can be very helpful as it’s not worth injuring yourself moving furniture! Questions? Call or email us today! Comments? We LOVE your feedback, thoughts and ideas….click the word “comment” below! 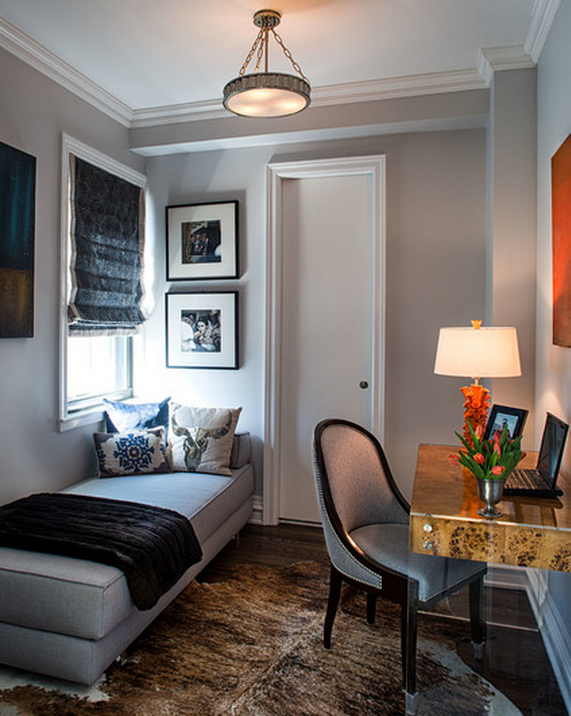 There are lots of ways to layout your furniture in a small bedroom, and a bed in the corner may just be your best option to make the room feel larger! Four best ways to decorate each side of the fireplace!